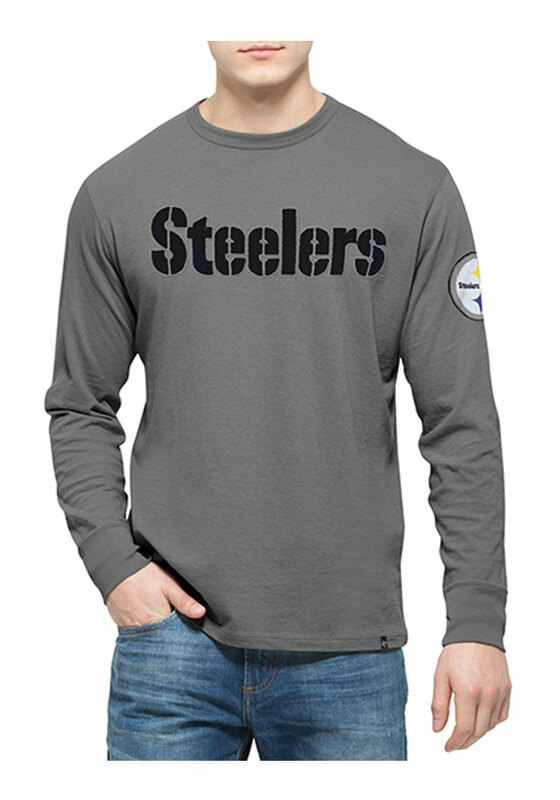 Support your Pittsburgh Steelers in this Grey Long Sleeve Fashion Tee! This Fieldhouse Fashion T Shirt features a self fabric applique team wordmark on center chest, self fabric applique team logo on left sleeve. Be ready to shout "Go Steelers" when you wear this Pitt Steelers Long Sleeve Fashion T Shirt in the stadium or on the street. I love this shirt! Super comfy and soft, it fits true to size and 47 stuff always washes great (I am starting a collection). Plus, gotta rep the D! Go Tigers!